If you are a frequent female traveller, you would know very well that flying around can take a huge toil on us both physically and mentally. Sometimes the waiting time during transit can be so long, you wish you could be doing something rather than watching the time ticks away. Having said that, how does an avenue for you to rest and freshen up sound? 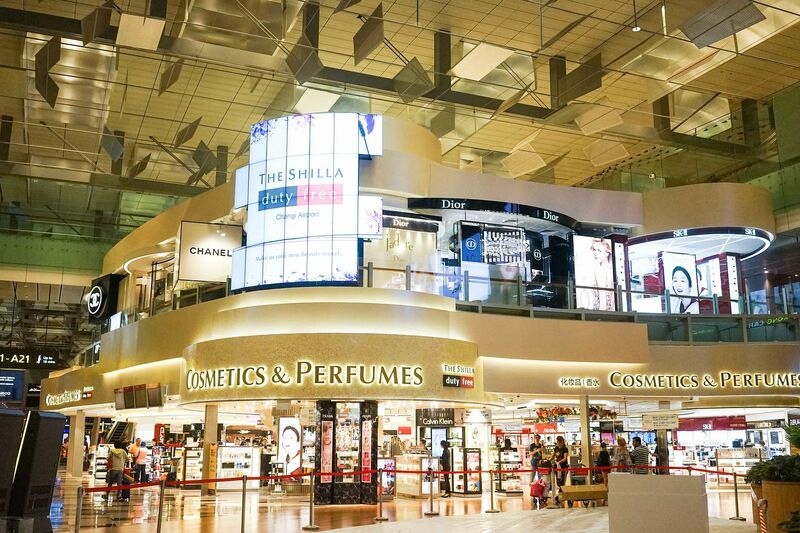 The next time you fly, perhaps you can consider giving yourself a treat at The Shilla Beauty Loft in Changi Airport Terminal 3 Transit Departure Central store! 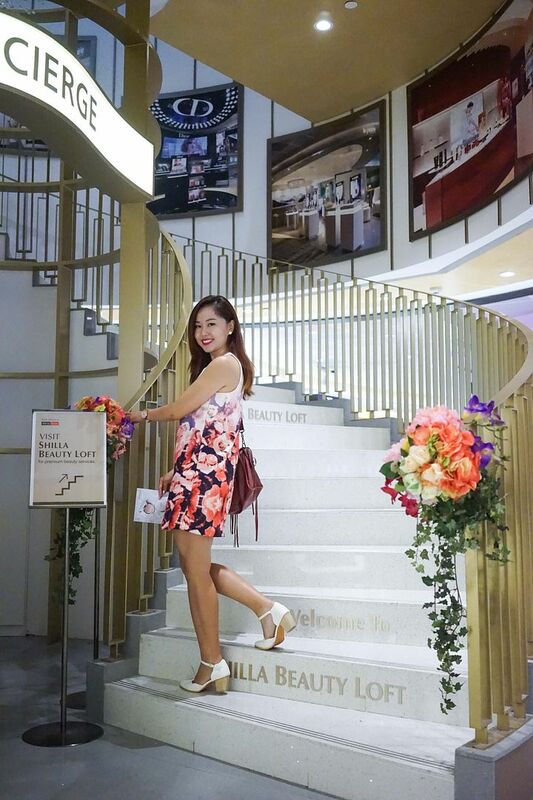 Read on as I bring you through the different beauty services provided by 3 out of the 4 brands at The Shilla Beauty Loft. 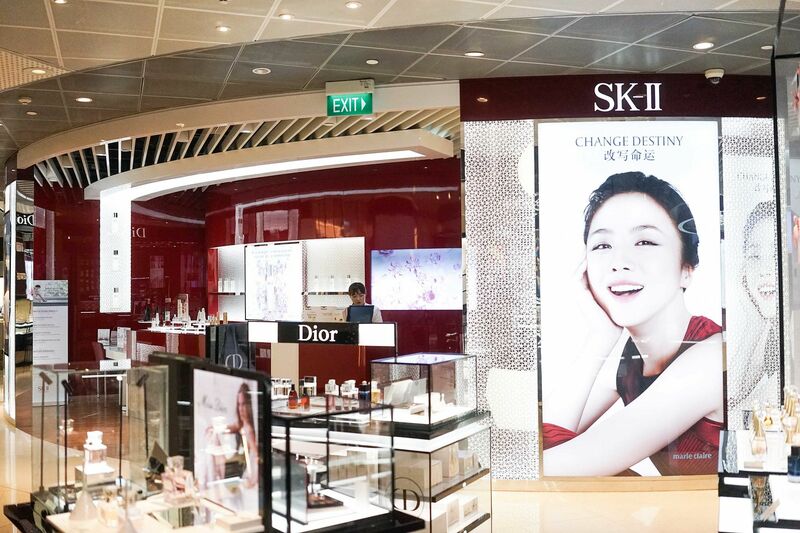 The Shilla Beauty Loft at the mezzanine level of the Terminal 3 Transit Departure Central store has beauty and spa services from four luxury brands - Chanel, Dior, La Prairie, and SK-II. 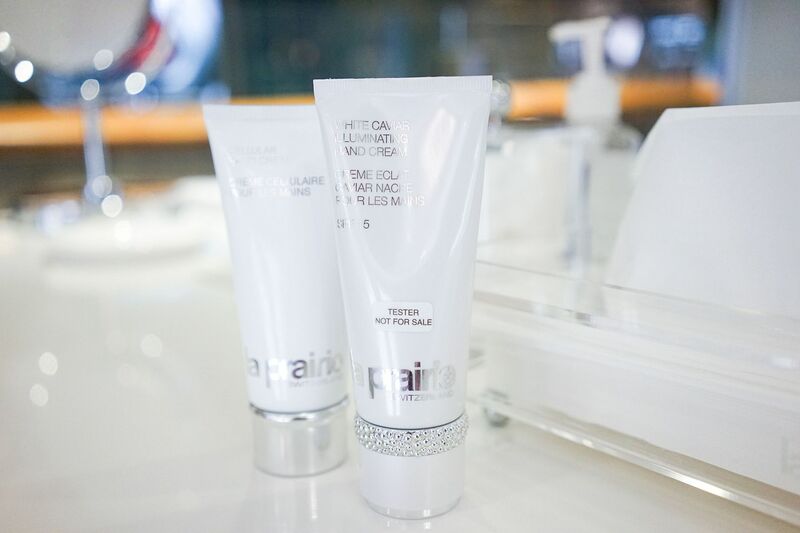 Always find no time to visit spa centers for a quick fix to your skin? 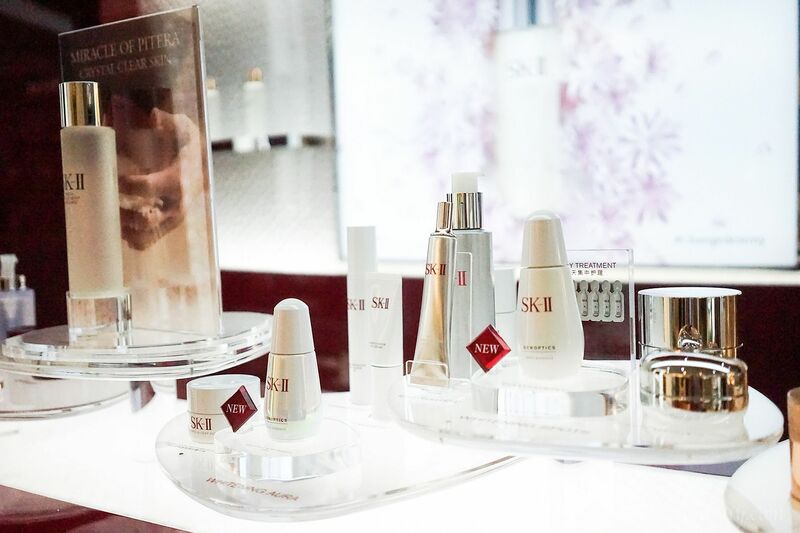 The SK-II Pitera Lounge provides facials and massage services to travellers who are looking for a chance to rejuvenate in between their flights, or after a long-haul flight. 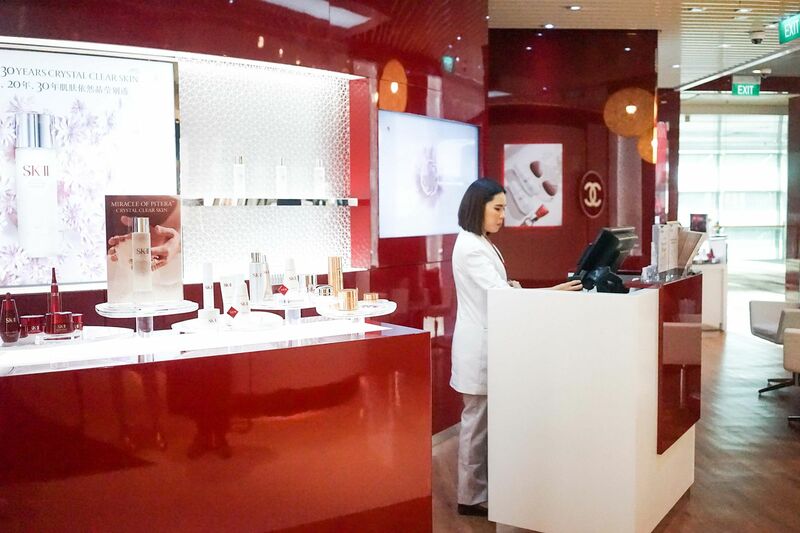 I went through the Aura Brightening Facial (S$118) which took about 45mins to complete. It's like your usual facial except they skip the extraction part so that you don't suffer downtime or redness. 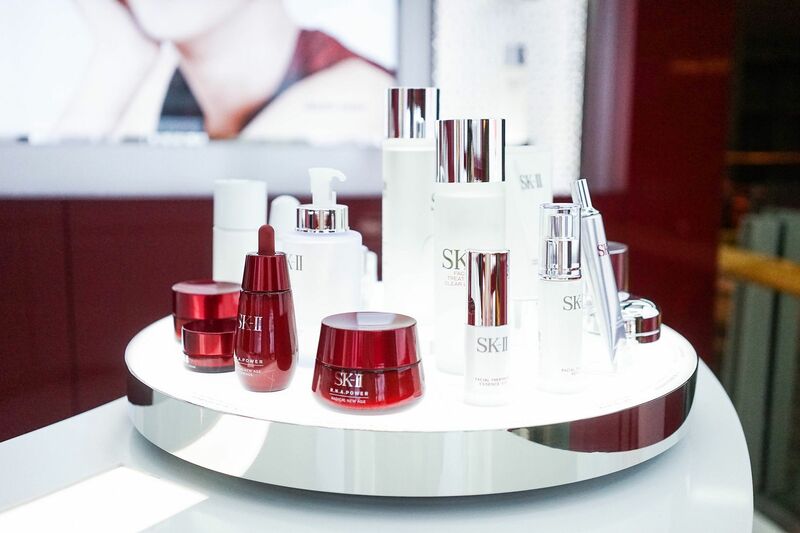 The facial uses SK-II products which is a good chance for you to try out their products before buying them. What the Aura Brightening Facial does is to treat uneven skin tone and dark spots. 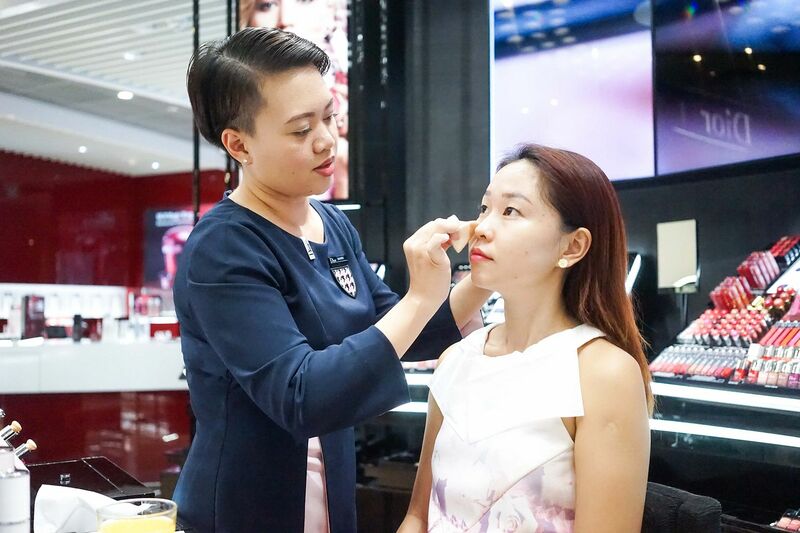 What left a big impression to me is that the beautician spends a lot of time doing massages, not just only on the shoulders but on the face as well. 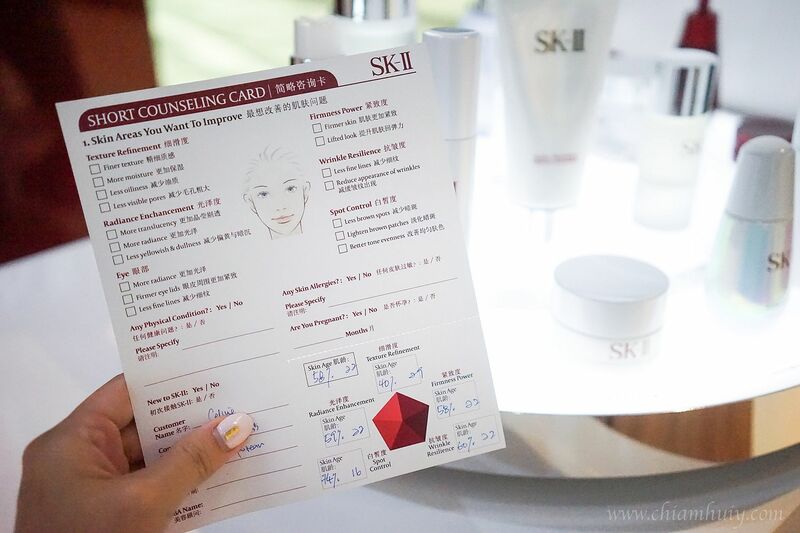 For massages, she even uses a hot towel to give a warm relaxing massage while I enjoy the masking using SK-II Whitening Source Derm Revival Mask. At the end of the facial, the beautician applied full skincare regime on my face, including sunblock and their signature eye cream. I really enjoyed the facial because it was very relaxing. I can imagine it'll be even better for jet-setters who needed this short rejuvenation break after a flight. 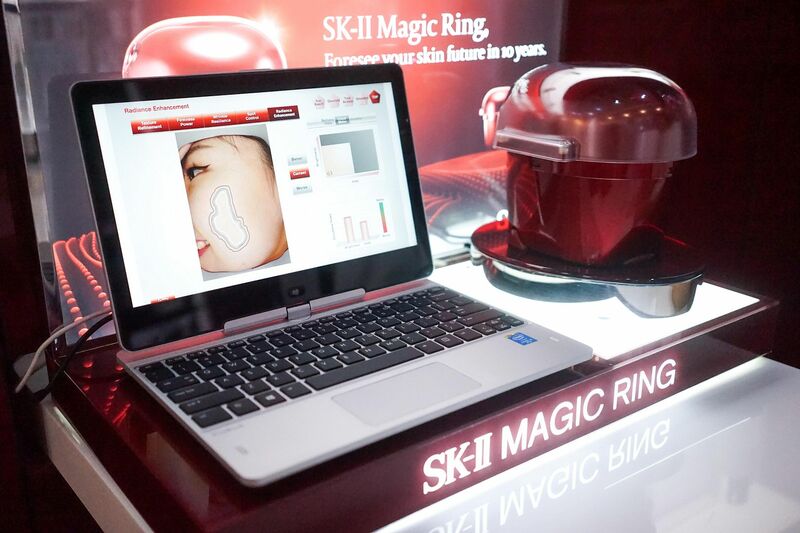 You can also do the skin analysis using SK-II's Magic Ring device before and after the facial. It tells you the age and percentage (over 100) of your skin. That's a good chance for you to find out the main issue of your skin! I did see a bit of difference after the facial, with an increase in skin radiance, hydration and a reduction of my total skin age. 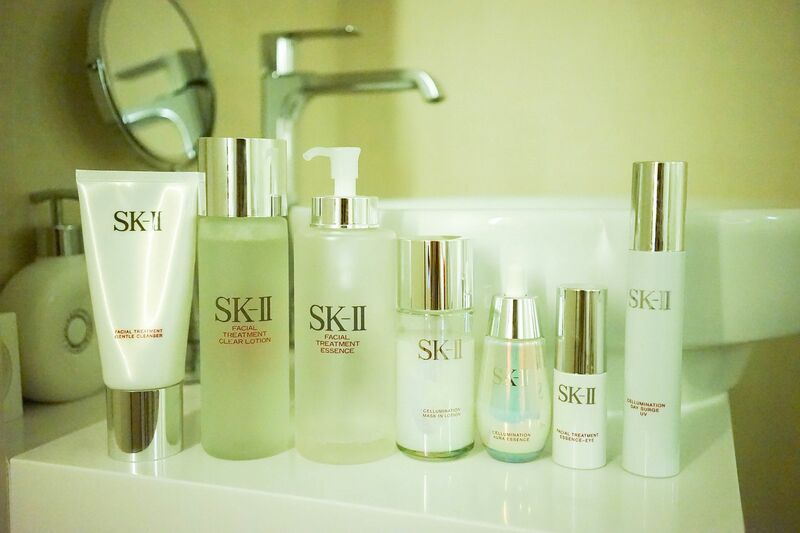 For more information, kindly call +65 93523687 or e-mail Reservations_ChangiSpa@Skii.com.sg. 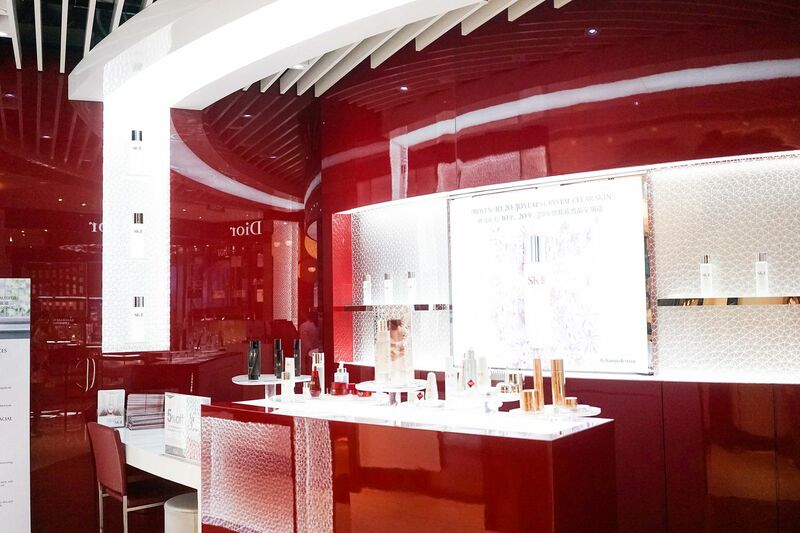 Shoppers who purchase any beauty product from La Prairie get to enjoy complimentary arm and hand massage, just right beside the SK-II lounge. 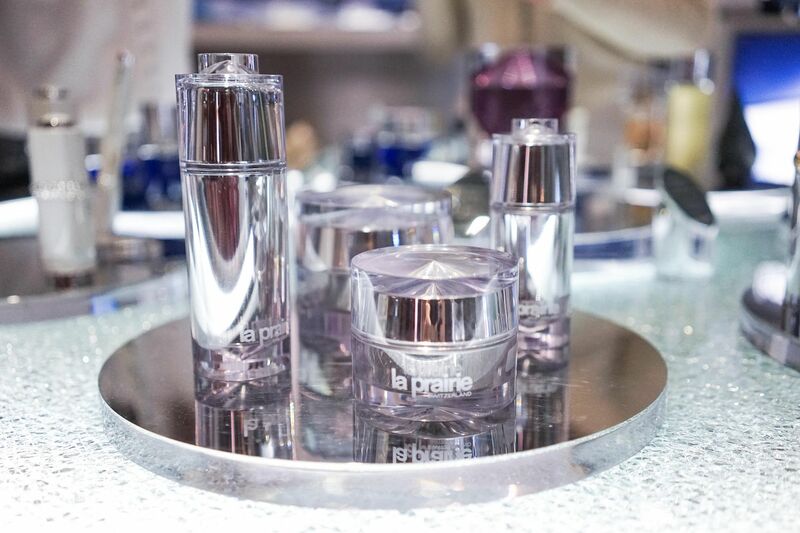 Since I already had my facial done at SK-II, I went ahead with their hand massage using La Prairie's illuminating hand cream. 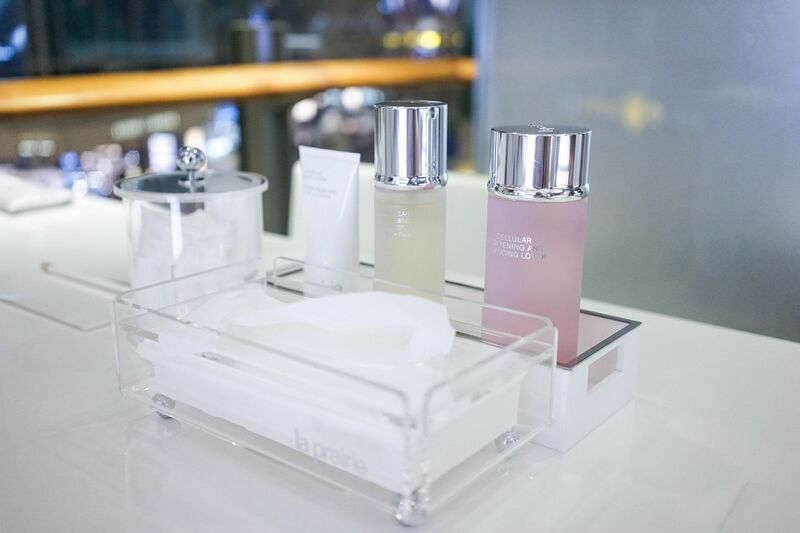 Bear in mind that this massage treatment is complimentary with any purchase of La Prairie items at The Shilla Duty Free. Since you are entitled to it, I would say, go for it! 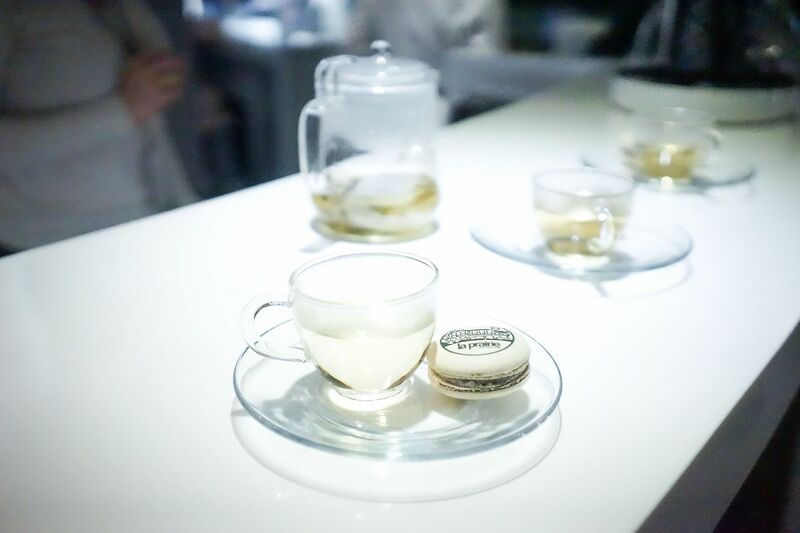 While waiting for your appointment, light complimentary refreshments will also be served. 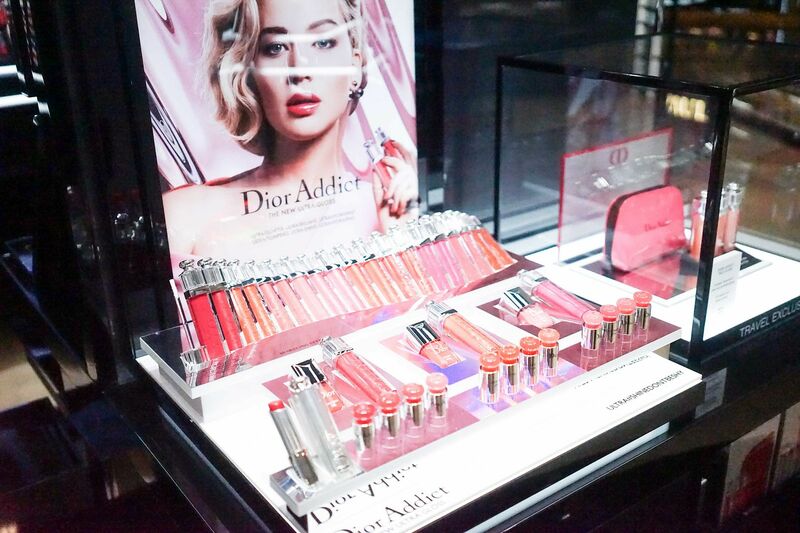 Have you ever wanted to try Dior's many other fragrances other than those widely advertised? Then this is your chance. 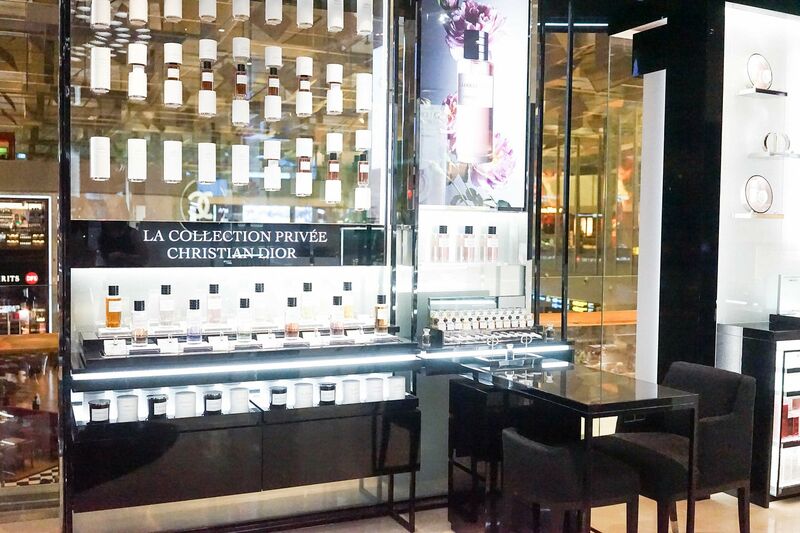 At Dior's beauty house, they offer fragrance consultation (10 to 30 minutes) for you to decide which fragrance you love the most. 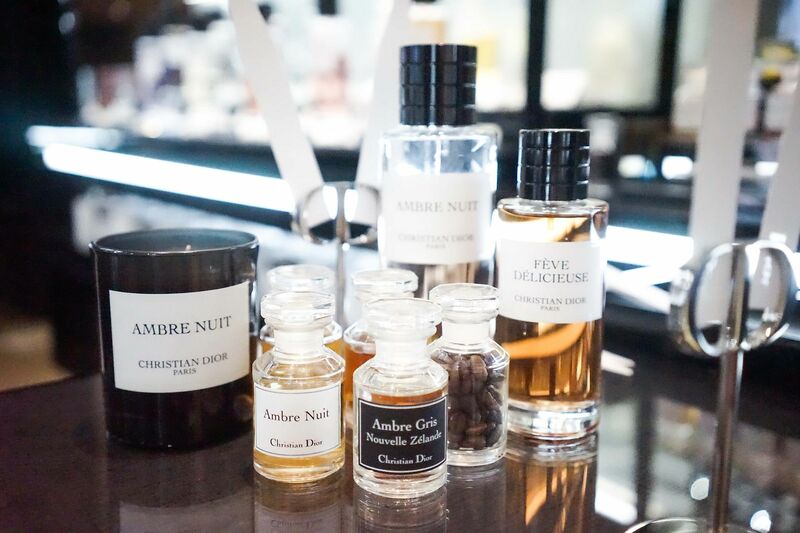 Apparently my likings go to Christian Dior's Ambre Nuit, which is a little musky and spicy (that explains why it's a unisex fragrance), and with a hint of citrus and floral notes. 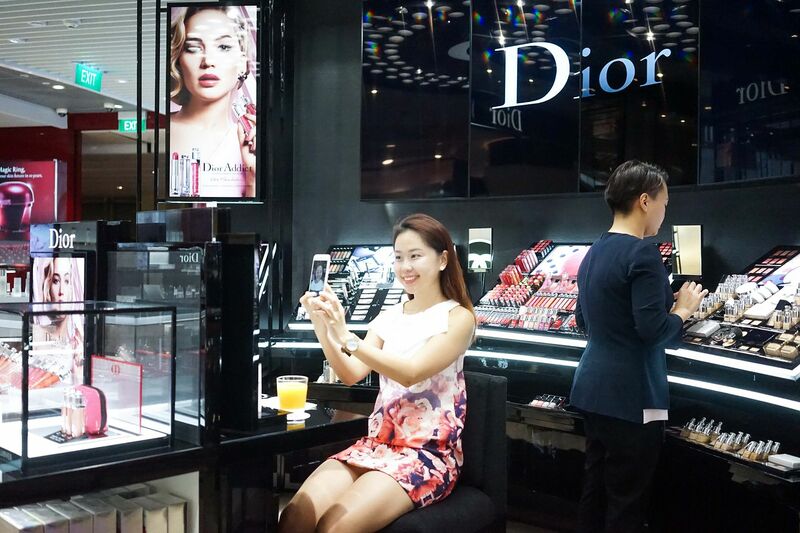 The MUA tried on Dior' new Bloom Perfect Perfect Moist Cushion, which is very lightweight and gives a decent coverage. 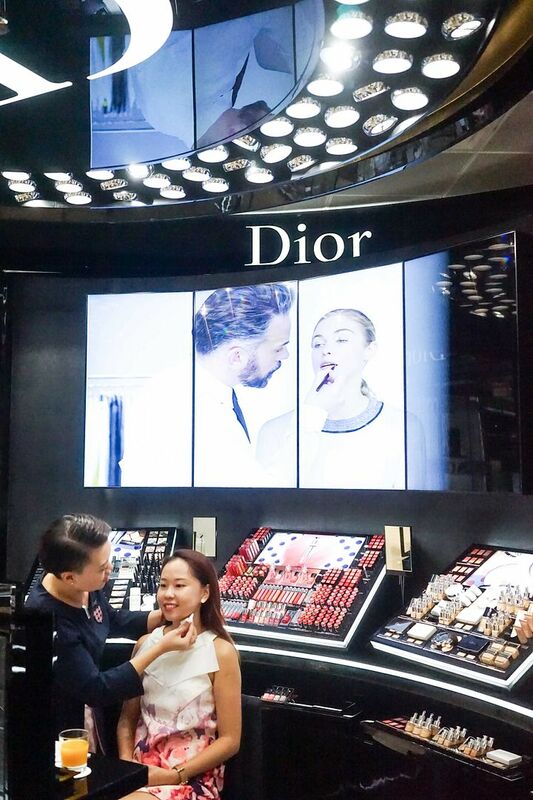 If you have always wanted to purchase Dior's cosmetics, a makeover is a good chance for you to try them on before purchasing. 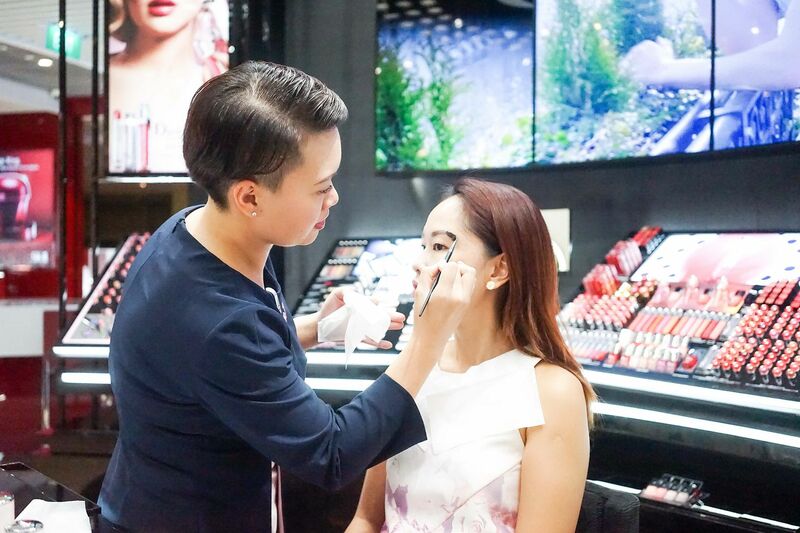 That's call wise shopping ;) You can even try on their eyeshadows to see whether the colour palette you've been lusting for the longest time suits you and your skin tone. And that is pretty much about it! 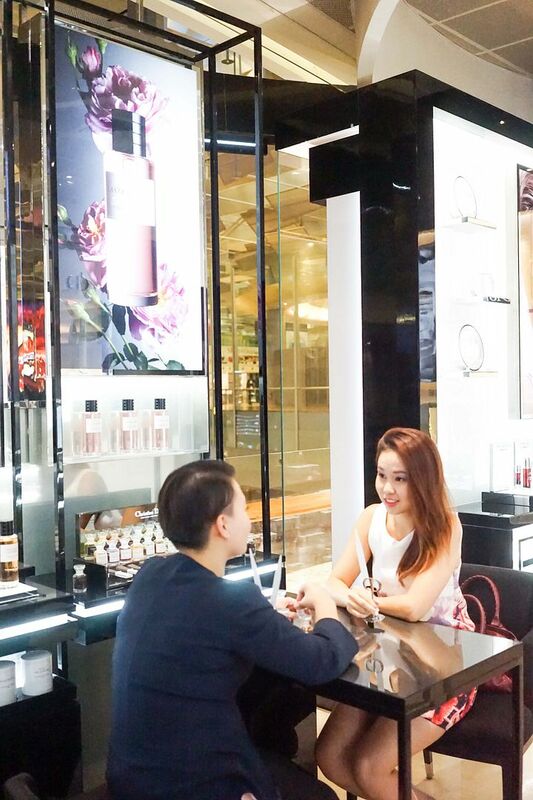 It was a very enjoyable session at The Shilla Beauty Loft At Singapore Changi Airport. 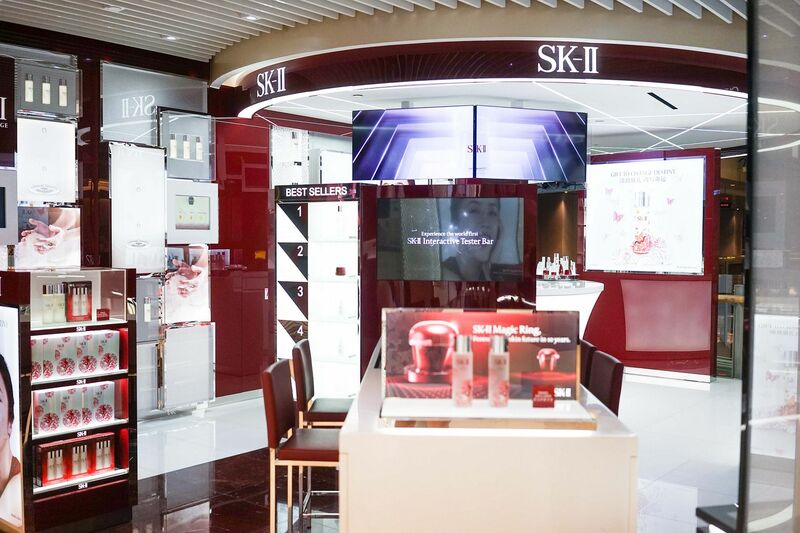 I can totally imagine how therapeutic it'll be for the shoppers who have done their shopping at Shilla Duty Free, and are actually looking for a place to rest and relax. 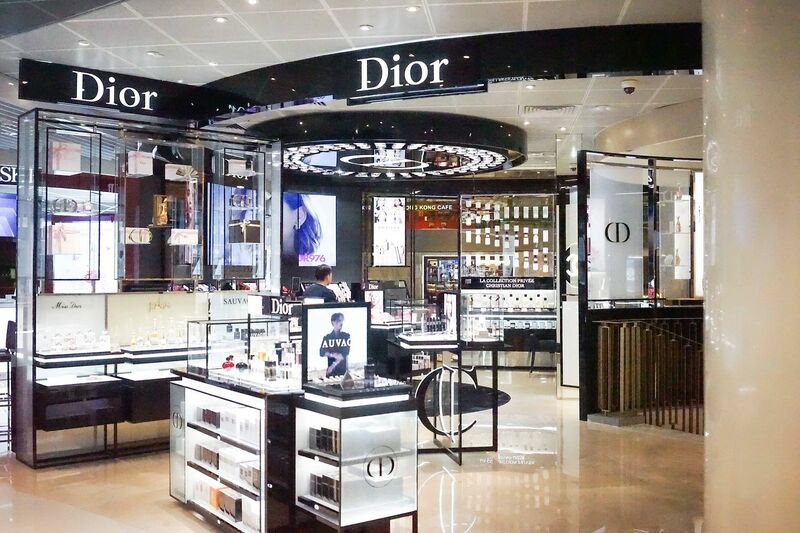 It's a great idea to have this whole new level of travel retail experience. 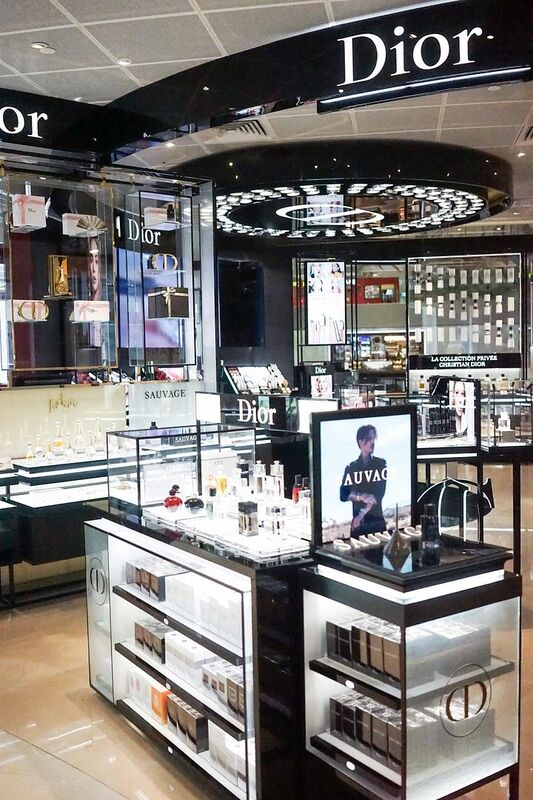 The next time you have time at Changi Airport, do drop by and check out what's lined up for you to enjoy! 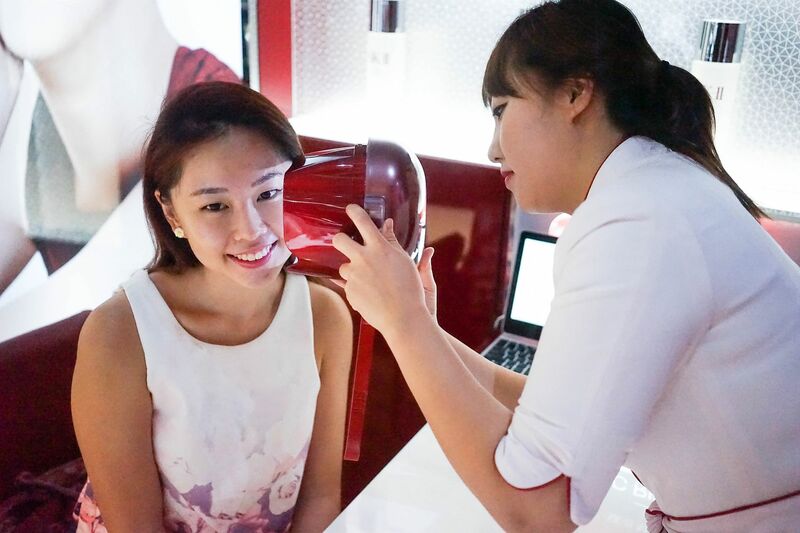 Thank you The Shilla Duty Free for the kind invitation to enjoy the beauty services!